China’s participation in South–South cooperation (SSC) under Food and Agriculture Organization (FAO)’s Food Security Framework prioritizes agricultural and rural development and poverty reduction in developing countries, and provides technical assistance by dispatching Chinese agricultural experts and technicians, reflecting the basic concepts of China’s foreign aid and the core essence of SSC. 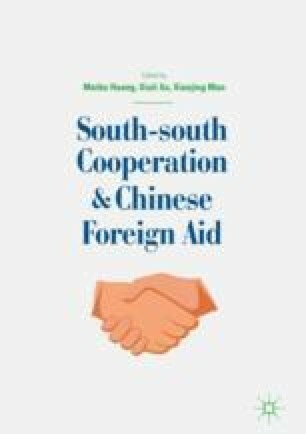 This chapter, taking the China–Uganda SSC technical assistance project as a typical case, presents an overview, introduces the operational mechanism of the project, and analyzes the practical application of the principles and practices of China’s foreign aid concept. This concept upholds the principles of equality and mutual trust, building equal partnerships with parity of authority and responsibility, and multilateral cooperation mechanisms in politics. It adheres to the concept of mutual benefit and win–win cooperation, following the technical assistance mode of “teaching one to fish,” and combines foreign aid with trade and investment to promote the development of host countries’ agricultural value chains within the economy. The chapter analyzes the project’s political, technical, economic and social effects, and stakeholder evaluations, and offers comments and recommendations to further optimize its achievements.